I just got back from RTC Europe on Monday, and as a landscape designer I went in with the expectation that there would not be many sessions that would apply directly to the landscape. And in general, that was the case. To start off, I did not know that you could place points on a Topo Relative to the Surface. This options is, of course, (slightly hidden) on the options bar. Placing points Relative to Surface allows you to specify the extents of the disturbed area and ensure that the Topo will not modify anything outside of a specified boundary. So you can place points along a line or boundary and the Topo will maintain the same contour lines (though they may disrupt slightly due to the change in triangulation). Like I mentioned, this is useful if you want to maintain a specific disturbed area or create specific slopes. Joe also demonstrated that you can array points. This is particularly useful along straight edges. BUT you want to make sure that you uncheck Group and Associate. 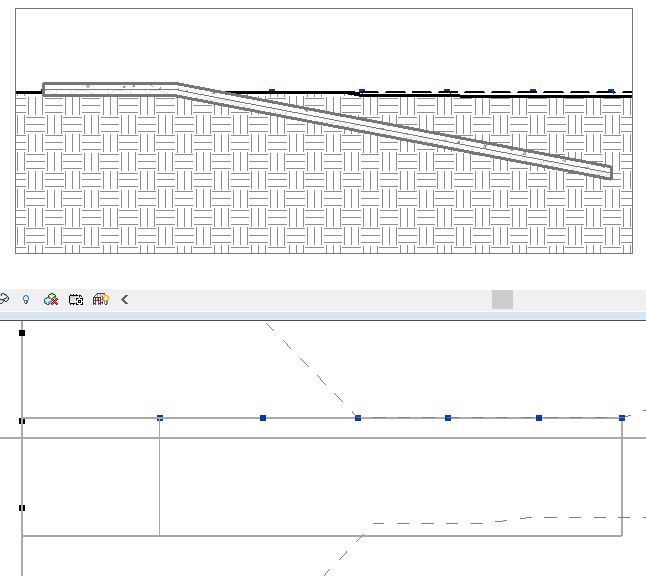 If you don’t, Revit will still try to Group the points, which makes for some strange point behavior. (If you do accidentally group and associate you can ungroup the points by finishing the surface). 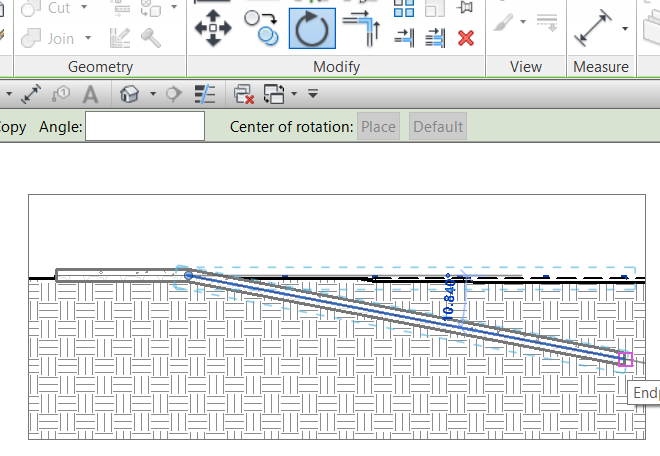 And you can even rotate points in section, so you can make regular slopes simply within the Topo or to follow a hardscape Floor. 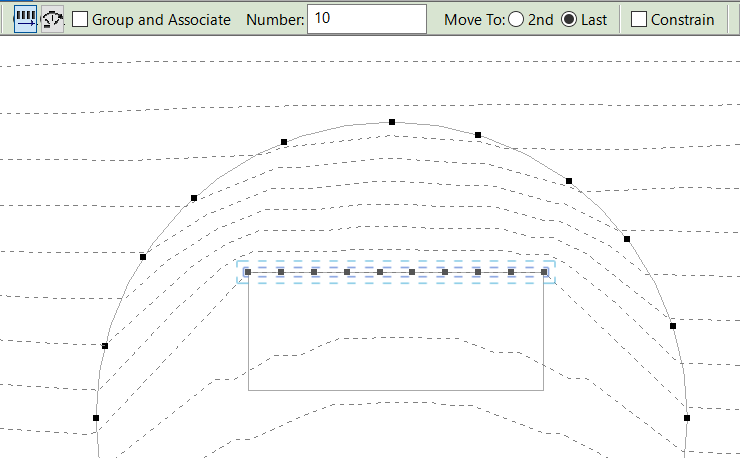 And you can copy the points as necessary to create an even slope. But the final takeaway was that you should download the Topo Align app, which can do all of these things for you automatically. So if you have the need to place points Relative to Surface and align Topo to edges and shape-edited slabs, then Topo Align is really worth the scant $1.99 it costs. At that price, it would only take about 10 minutes of time savings to make up for the cost- and it can easily save you hours (if not days) of work. In fact, Joe even bought licenses specifically so we could use it in the session at RTC. And he has rolled it out to all users at his firm (which employs over 200 people). And he also briefly covered Site Designer, which largely does not work in 2016, and the general consensus seems to be: do not use it. Are you gonna do a post on your RTC presentation? I wasn’t necessarily planning on it. I have gotten a bit tired of it after working on it for so long… so I’m not sure if I want to do a recap, but I might be up for posting the handout. I think the oxygen of publicity is still desperately required for the idea of landscape in Revit, so posting your presentation here (or at least just the handout) would be beneficial.